As part of the 100 Years of Bauhaus (January 16-24, 2019), iii will be presenting two performances at Akademie der Künste, Berlin. 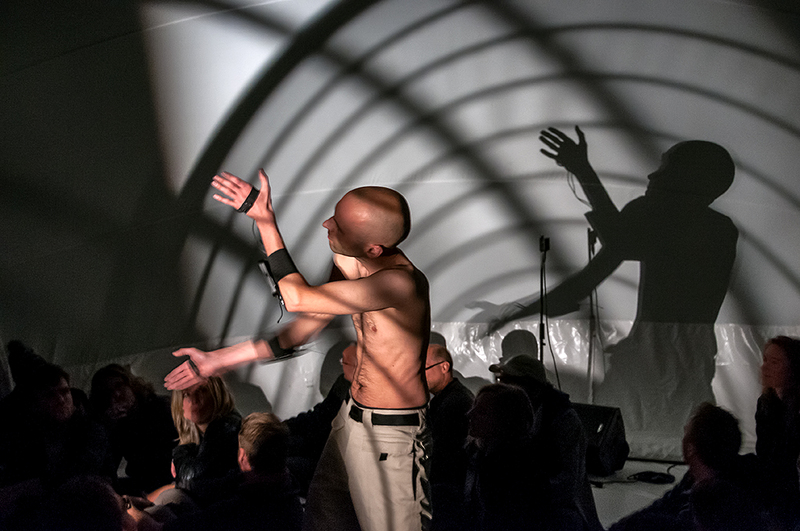 Dieter Vandoren and Mariska de Groot will present Shadow Puppet? and Matteo Marangoni will present Lampyridae. Lampyridae are artificial creatures which communicate between each other through light and sound. Each creature behaves autonomously following the same rules. Together they form a swarm of pulsing entities, generating changing patterns that evolve in space and time. 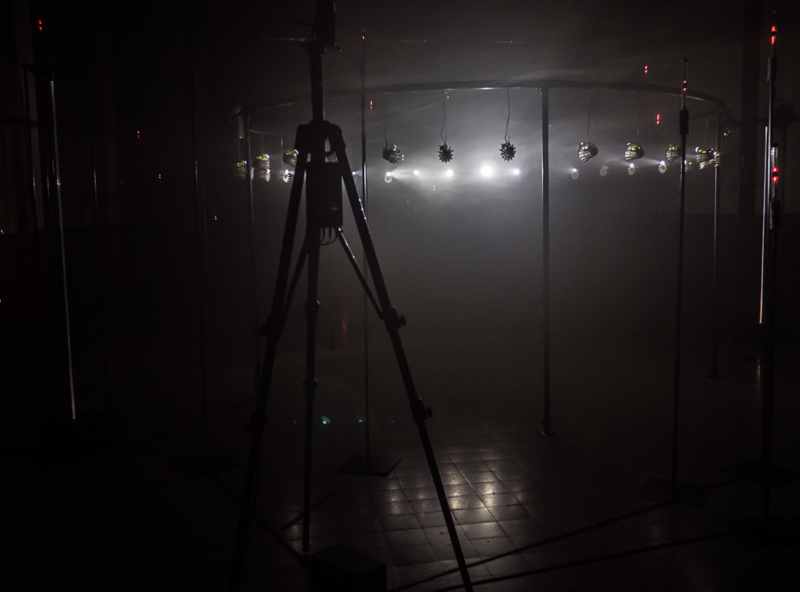 The work is an exploration of emergent swarm behaviours originating in the electronic simulation of ecosystems. 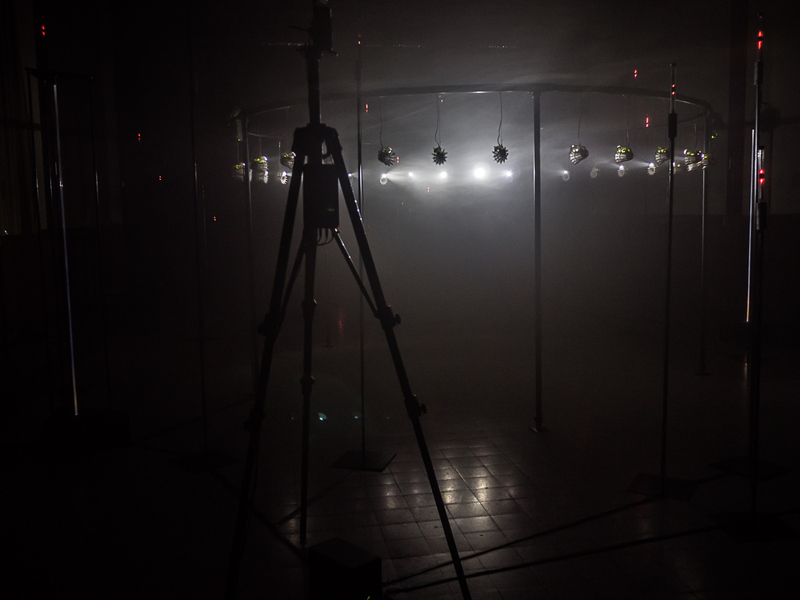 Ideas developed for the purpose of computational modelling are reinserted back into the physical space occupied by human bodies and the human senses, creating a space for contemplation that is fragile and unpredictable.